Mike Robertson has been writing fitness related articles since 2003, and has been published in publications such as "Men's Health," "Men's Fitness," "Muscle and Fitness" and "Outside" magazine. Robertson has a Master of Science in sports biomechanics from Ball State University. Strength training is a critical component of any program than emphasizes long-term fat loss. 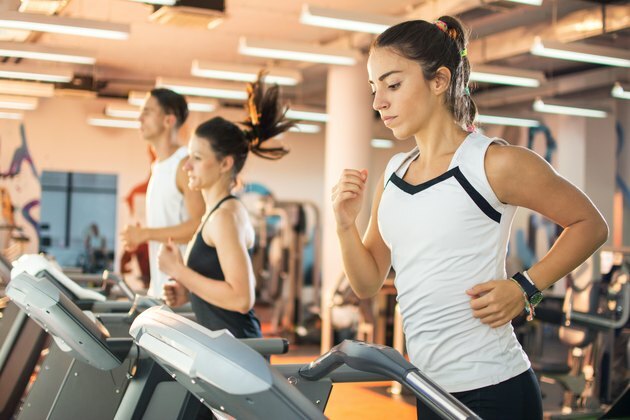 With most forms of traditional steady-state cardio, you expend calories while you’re exercising, but once you stop, you quickly go back to your normal metabolic rate. 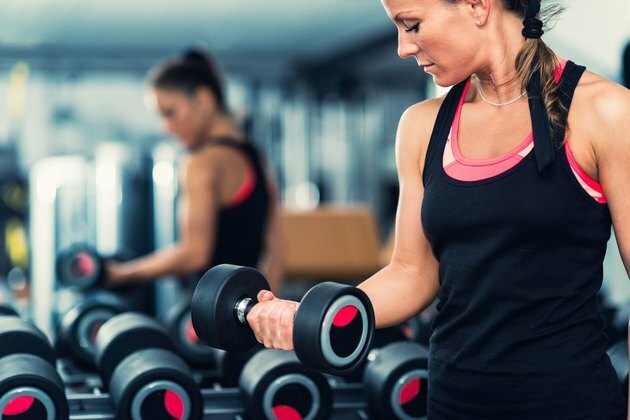 Strength training, however, builds muscle, and more muscle helps you burn more calories — even when you’re sitting on the couch. 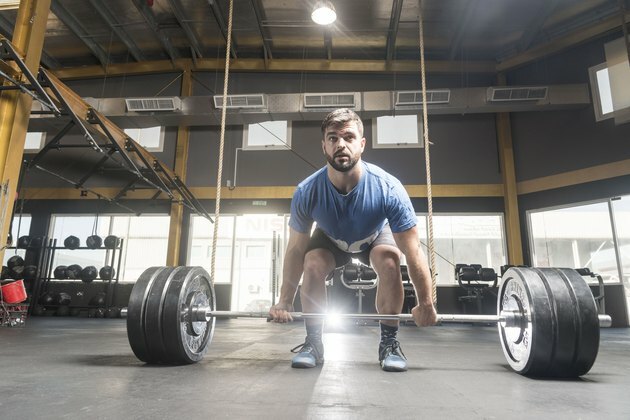 "Strength training is a critical component of any program than emphasizes long-term fat loss," said Alwyn Cosgrove, co-author of the book The New Rules of Lifting. "There is a big misconception about what causes bulk. Bulk isn't muscle; it is muscle covered by fat," said Mike Roussell, author and nutritional consultant. "So if you feel that you are too bulky, then it is important to fine-tune your diet to lose the excess fat — not give up weight training." "Elite athletes need their body to function as an efficient unit," says Wil Fleming, performance coach and co-owner of Force Fitness and Performance in Bloomington, Indiana. "So focus on big-bang movements that utilize multiple muscle groups — both the prime movers and the smaller stabilizers. The premise here is simple: Stop isolating body parts and pumping away mindlessly on the machines. Focus on compound, multi-joint exercises. Hire a trainer or coach and learn how to squat, deadlift, chin and overhead press safely and effectively. Does Jumping Rope Burn Fat Better Than Running?